We are living in tough economic time. Let me literate that statement again, We are living in tough economic times, it is no joke. If you have not felt the pitch of how bad the economy is, then count yourself as rich. We all want everything to fit on our tight budgets. Spending tough much means that you either get broke or drown yourself with debts. Nobody wants either of the two choices, as it is a nightmare from personal experience. If you have never been broke or in debt, they still count as lucky and rich. Do you desire to get a new set of tires within your budget? Are you tired of buying poor quality tires? Then you are in the right place. As human beings, we have a notion that anything of low cost means poor quality. However, after conducting numerous testing and studies, we have been able to come up with a list 10 of the best budget all season tires. For most people, when buying a particular set of tires, they tend to look at the brand. However, buying a certain brand does not necessarily mean that you are buying quality. We do know that most people do not about Kumho and for the guys who have used the product may attest that they offer great tires. 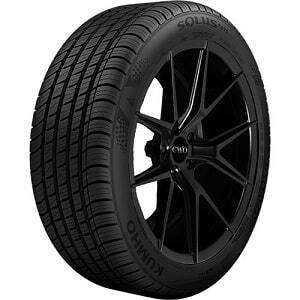 So starting us off in our Top 10 Best all season budget tires is Kumho Solus TA71. 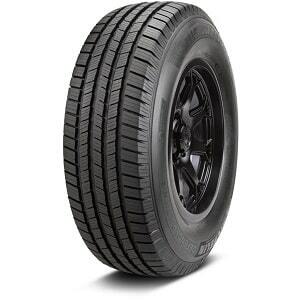 Released in 2015, the tire has received great reviews from previous customers. Design for sedans, minivans. Coupes and crossover, the tire offers a quiet and comfortable ride. The tire uses advanced nano-silica compound technology, which improves its handling capabilities. The advanced nano- silica compound also helps the tire to retain maximum traction on any given surface under any given weather conditions. The compound also helps the tire to have an extended tread life. A technologically advanced nano-silica tread compound is built to enhance traction in colder conditions and extends tread life for better long-term durability. The TA71 benefits from an asymmetrical tread pattern which helps provide a more precise steering response and better on-center feel, no matter what the weather. Kumho comes with four groves comes which helps to reduce hydroplaning by channeling away water. Precisely angled sipes help to increase overall tire traction in winter. We all want a comfortable ride while driving it is for that reason the Kumho has twin steel belts which provide that extra stability to the tires. The good news that the Kumho TA71 is available in a wide range of sizes. Its 60,000-mile warranty gives you that additional peace of mind that you have been looking for. Great traction on both ice and snow surfaces. When it comes to the best budget all season tires the Milestar MS932, takes the number one spot. 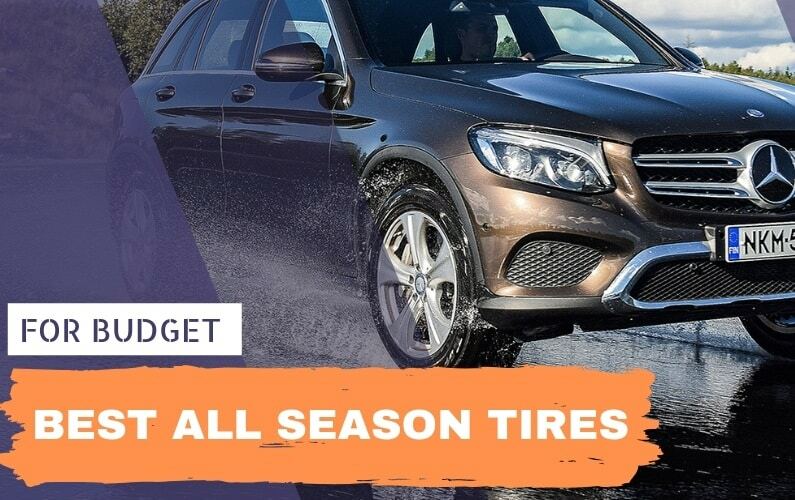 It is the best seller when it comes to budget all season tires. It has received over 200 5 stars on Amazon from the different customers. It uses advanced technology to enhance overall performance on wet, dry, snow and ice conditions. It uses a tread compound which is long lasting. 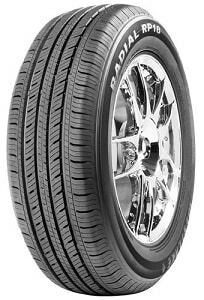 Its wide grooves allow the tire too easily evacuate water allowing the tire to retain traction even on wet surfaces. 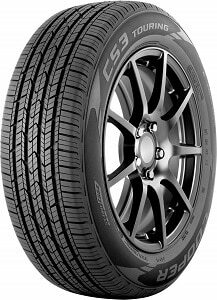 Cooper CS3 is considered among the best fuel efficient tires in the market as treads design help to reduce rolling resistance. To improve on handling capabilities and a more responsive tire, the Cooper uses its exclusive StabilEdge technology. While some car tires come with sipes, Cooper CS3 use advanced 3D Micro-Gauge Sipes which helps to remove water on wet surfaces thus reducing chances of hydroplaning. While its wide grooves help the car to retain maximum traction on wet surfaces. Do you just hate that annoying sound while driving? The Cooper CS3 incorporates the use of a new tread design which eliminates the production of noise so that you can a more quiet ride While its twin belts wrapped in nylon provides a more comfortable ride. It comes with a 65,00 miles warranty while you can enjoy its variety of speed rating. Depending on your preference you can either pick T, H or V rating. Offers a quiet and comfortable driving experience. We all have heard that if you wish to reach your destination safely and in one piece, it all starts with your tires. That fraction of second response from your tire can save your life. So if you are looking for the best budget all season tire which offers proper braking and performance then consider getting a set of Michelin Defender. Design for sedans, minivans, light trucks and SUV offers great performance on both dry and wet surfaces. Over the years, Michelin has gained a reputation of being one of the most durable brands on the market. The Michelin Defender lives up to the standards. It uses a Michelin Evertread which strong and long-lasting compound. Its wide lateral grooves allow the tire to maintain high traction even on wet surfaces. To support heavy loads, the internal of the tire has twin belts. Its 70000-mile warranty gives you a peace of mind while in investing in the tires. 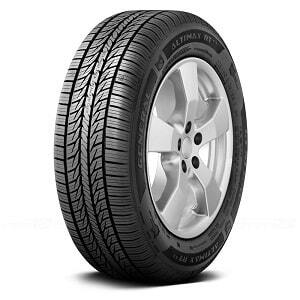 The car tires offer a comfortable and smooth ride in snow, warm, dry, wet and even ice conditions. This is the ideal tire if you have a tight budget. Officially came to the market in 2013, it is an advancement of the Altimax RT. The new model has improved on the traction levels all season round. Design for sedans, mini trucks, minivans, crossovers, and coupes, it offers a comfortable driving experience. While most car tires perform poorly on wet surfaces, the General Altimax RT43 uses symmetric tread patterns to give your maximum traction. Its four circumferential tires help the tires to remove water while driving on wet surfaces thus retaining high traction on wet surfaces. The use of advanced sipes also assists the tire to have a firm grip on snow surfaces. In our previous review on the Top 10 Best All Season Performance Tires in the market, we did talk about the Nokian Hakkapeliitta R2 Snow Tire. Let's be honest how many of you have heard about the tire? We won't be shocked if only 1 out of 10 people know about the tire. For most when they hear about the Nokia the first thing that comes to mind is the cellular company currently owned by Microsoft. Only an automotive geek will know about the product. It will be a big disservice to the tire company which holds the highest number of snow tire patents. The company has been in business since 1939, and since then they have produced high-quality snow tires. 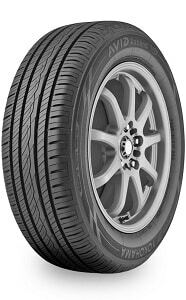 Their latest release the new Nokian Hakkapeliitta R2 Snow Tire is one of the best snow tires in the market. Its crypto crystal concepts allow for maximum grip on the ice surface. While its silica tread compound gives the tire durability and flexibility providing you with a comfortable ride. In addition to the silica tread compound, the tire also uses natural fiber which gives the tire more stability. To help in grip on the ice surface the tire comes with grip claws which are strategically placed in the tread blocks on the grooves. 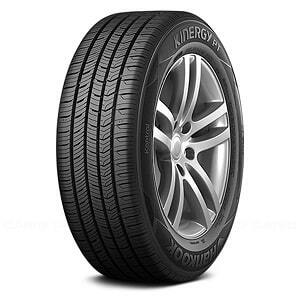 For everyone who is looking for the latest budget all season tires, then you should consider buying the new Hankook Kinergy PT H737. Officially released in 2017, the tire comes with impressive features that will blow your mind. The new Hankook Kinergy PT H737 uses a specially formulated compound which helps to increase traction while still reducing rolling resistance saving you a couple of dollars on gas money. It also comes with a new tread design which allows the tire to retain maximum traction on dry surfaces. While it’s wide grooves allow the tire to remove water away from the tire reducing chances of hydroplaning. Its wide grooves also help the tire to maintain high traction on wet surfaces. For a more comfortable ride, the tire uses a joint less belt and highly strengthen bead filler, which also helps to improve on its handling. It's too early to tell as it was only released last year. Most people fear to buy budget tires because of poor quality and their get wore out easily. Which in the long run is expensive. However, for the Sumic GT- A you do not have to worry about such issues. It uses high-quality material which not only ensures durability but also the value of every dollar that you spend. The use of advanced tire construction enables the tire to give your ultimate performance. Its lateral grooves and tread design help the tire to retain maximum traction on wet surfaces. While also maintaining high traction on snow surfaces. The tires also come with a rigid construction increasing its handling capabilities even on high speed. Some customers have complained about the poor sidewalls quality with some blowing out. 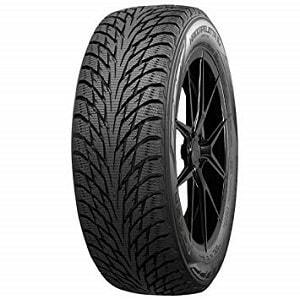 When you are looking for the best budget all season tires you will probably get to come across the Westlake RP18 tire. It is one of the best seller all season budget tire, receiving great reviews from the number of customers who have had a chance to use it. When it comes to buying any specific tires always ensure that it comes with a warranty. The warranty protects you from being exploited by companies which provide poor quality tires. Most budget all season tires come with a 40000-80000 miles warranty. So in case the tire starts experiencing tread wear even before reaching its tread wear limit, you can return it to the manufacturer to get it replaced or a refund. Other manufacturers come with free trial period which the allow you to drive with their tires and if you are not satisfied with the performance you can return it and get your money back. If you consider yourself a fast driver, then speed rating is an important aspect that you should look into before buying a particular set of tires. Speed rating refers to the maximum speed a particular tire can handle without losing performance. The speed rating is shown by letters which can be seen on the sidewalls of the tires. UTQG stands for Uniform Tire Quality Grading System. It measures the tire quality by looking at the treadwear, temperature resistance, traction plus also the safety ratings of the tire. The UTQG basically determine the overall quality of the tire. While the best budget all season tires look for tires which have UTQG rating of AAA or ABB rating. We all have heard that cheap is expensive. When it comes to buying budget tires that statement cannot be far from the truth. As some tires will promise the great performance and long life only to disappoint you after a short period of time. Such tires start great, the performance is great however as you continue to cover more mile you start noticing a reduction on the performance. Their traction levels greatly reduce making you have difficulty while braking and in some cases sliding on wet or snow surfaces. However, not all cheap tires are bad, some offer excellent performance. So before buying a particular set of tires do your research. Know what other consumer are saying about the tire. Checking the reviews of different customers will give you a rough picture of what you should expect from the car tire. However, we made the whole process easier for you by listing the top 10 best budget tires, which you can pick from one of them. For most people winter means buying a new set of tires. However, you no longer have to be doing that each year. As some, all season tires work extremely well on winter condition. However, it is important to note that not all season tire perform well on snow or ice conditions. Some tend to reduce performance when it comes to such condition. 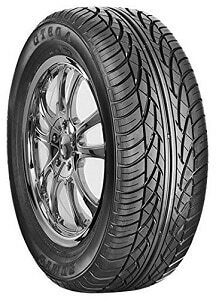 Thus it is for great importance before a particular set of all season budget tires check with the manufacturer details concerning its performance on snow or ice condition. Furthermore, you can carry out a bit of research, go look for what the various reviews are saying about that particular set of tires. After that, you will be able to know if it is worth buying that particular set of tires. 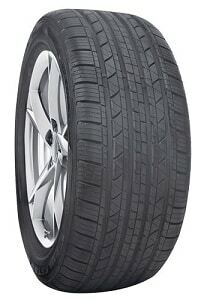 How do I improve the lifespan of my tires? Everyone wants to increase the lifespan of his or her tires. The lifespan of tires is greatly determined by the type of compound used while making the tire. However, they are a number of ways which you can use to ensure a longer tread life. It is advisable to rotate your tire periodically. This helps the tire to wear out evenly, thus helps to increase the lifespan of your tires. Always ensure that all of your tires have the right pressure. Low pressure can cause damage to your tires while high pressure can cause the tire to burst. Poorly aligned tires tend to wear out unevenly. Do not mix brands when it comes to using tires on your car. Mixing tires may result in some tires been overworked, which greatly reduces the lifespan of the tires. Finally, you are thinking about replacing your old set of tires. You do have a fix budget, and you are hoping to get quality and long lasting tires. You go online and start searching for the best budget all season tire. After a series of research, you are frustrated and still you do not know what to buy. Does all of these sound familiar? Are you having troubles picking the best all season budget tire? Then you need not to worry. We did conduct a series of research and we have combined a list of Top 10 All Season Budget Tires. Furthermore, we have looked at the key factors that you should consider before buying the best all season tires. Hopefully, the article is helpful and if you have any questions or comments, please feel free to talk to us on the comment section. Happy Driving!